The Syrian Observatory for Human Rights (SOHR) — a U.K.-based group that uses ground sources to monitor the war in Syria — reports that “there is not truth” to the Turkish military’s claim that it is close to capturing the Syrian town of al-Bab, an Islamic State stronghold located 20 miles from the Turkish border. While Turkey’s military claimed Friday that “it was close to taking Syria’s al-Bab from Islamic State,” the Observatory noted that “the jihadists still controlled 90 percent of the town itself and that shelling and air strikes had killed dozens of civilians in recent days,” reports Reuters. The Observatory has attributed the death of 45 civilians during the past 48 hours alone, including 18 children and 14 women, to Turkey’s bombardment of al-Bab. “Still there is no truth about Turkish forces taking control on al-Bab city, the largest bastion of the IS in [the] Aleppo countryside,” reports SOHR, adding that “the massive bombardment and military operations” by Turkey continue. In August 2016, Turkey launched an operation dubbed “Euphrates Shield” to keep ISIS out of its territory and prevent gains by the U.S.-backed Kurdish People’s Protection Units (YPG) also fighting the jihadist group. Turkish troops have targeted YPG forces. In the statement, the Turkish military revealed that it has “neutralized” a total of 185 “terrorists” during the al-Bab offensive, including 166 ISIS jihadists and 19 YPG fighters, reports Hurriyet Daily News. U.S. NATO ally Turkey considers YPG fighters, the armed wing of the Kurdish Democratic Union Party (PYD) that controls large swathes of northern Syria, to be affiliates of the Kurdistan Worker’s Party (PKK), a group considered a terrorist organization by both Washington and Ankara. 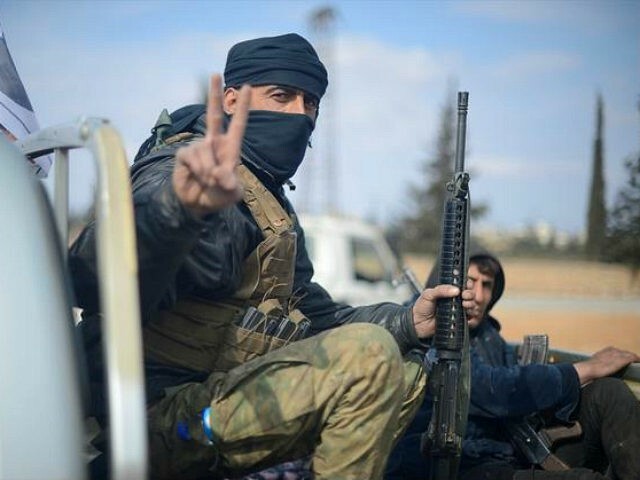 However, the U.S. has deemed the YPG a useful ally against the Islamic State, rather than a terrorist group. The Turkish military statement came during a visit by the Chairman of the Joint Chiefs of Staff Gen. Joseph Dunford to the Turkish Incirlik air base used by the U.S.-led coalition to combat ISIS. Although Turkey is part of the coalition and America’s NATO ally, the relationship between the two countries has suffered over U.S. support for the Syrian Kurdish troops. “It is time the U.S. leadership made clear who they are cooperating with in their Syria policy,” a senior Turkish government official told Reuters on condition of anonymity. The Turkish official’s remarks came in response to Reuters asking about the Trump’s administration possibly deploying U.S combat troops to Syria. “U.S. soldiers are present in Syrian territory, and we saw the results. They trained the PKK-YPG, which we call a terrorist organization, gave them weapons and supported terrorist groups,” declared the unnamed Turkish official. The YPG-majority Syrian Democratic Forces (SDF), an alliance of Arab and Kurdish troops backed by the U.S.-led coalition, are participating in an ongoing offensive to retake Raqqa, ISIS’s de-facto capital in Syria. Turkey reportedly believes ISIS has planned recent attacks within its borders — including a massacre at an Istanbul nightclub on New Year’s Eve — from al-Bab and Raqqa.